Do Mormon Genealogy Records Include Black People? I am trying to learn more about my family’s history. My mother, Ora Lean Johnson, is from Alexandria or Shreveport, La. However, she is ill and unable to provide me with any information. My father is Emanuel Christopher Bass Sr. of West Virginia, and as far as I know, he is still living. He was a child Bible prodigy. His father was a minister. My parents were married in Nevada sometime in 1963 or 1964. I was born in Las Vegas. My brother, who is deceased, was Emanuel Christopher Bass Jr.
Researching individuals still alive today can prove to be quite a challenge because of privacy restrictions and patterns of digitization. Despite that, we were able to dig up some promising records that should shed more light on your family’s history in the 20th century—and yes, they include ones available through the Church of Jesus Christ of Latter-day Saints. Keep in mind that this kind of research often involves starting with index records and then requesting a copy of the original record for more information. For example, in the database Nevada, Marriage Index, 1956-2005, Ancestry.com (subscription required) provides an index record for the marriage of Emanuel C. Bass and Ora L. Johnson. They were married on June 17, 1964, in Clark County, Nev. According to the citation for the index, the original copies of their marriage record will be held at either the Nevada State Division of Public and Behavioral Health’s Office of Vital Records or the Clark County, Nev., Marriage Bureau. The websites of these departments will provide instructions about how to order vital records. You can use the same technique to attempt to access the original divorce record of Emanuel Christopher and Ora Leon (Johnson) Bass from the database California, Divorce Index, 1966-1984 on Ancestry.com. The couple divorced in San Francisco in December 1970, and the original record should be held at the California Department of Health Center for Health Statistics in Sacramento. The Centers for Disease Control and Prevention has made available a comprehensive list of where to write for vital records for each state in the country, including California. One should be sure to pay careful attention to all the data that an index record provides, in case any of it may be helpful when one is searching for other records that can be accessed remotely. For example, this divorce index includes a rough estimation of the ages of Emanuel Christopher and Ora Leon (Johnson) Bass. Both of them were in their mid-30s in 1970, which is significant because it suggests that they were born before 1940 and thus should be in the 1940 U.S. census. This is the most recent census to have been made available online and, for that reason, is crucial for genealogical research. When you search for Emanuel Christopher Bass in the 1940 census on Ancestry.com, the most promising result is a Christopher Bass, age 4, living at 402 Grove St. in Farmville, Prince Edward, Va., with his parents, Lewis W. and Vivian M. Bass, and siblings, Leon and Lester. Lewis W. Bass was employed as a pastor, which matches the information that you provided. We confirmed that this was the correct family by using another index record from Ancestry’s database, Virginia, Birth Records, 1864-2014, which states that Emanuel Christopher Bass was born in Prince Edward County, Va., on July 23, 1936. This is also an index record, and you can order a copy of the certificate from the Virginia Department of Health. Taking this same approach with Ora Leon Johnson, we discovered that there were a number of possible matches living in Louisiana in 1940. However, by using a map to plot the locations of each family and comparing those areas with the towns you mentioned, we narrowed the census results to 1-year-old Ora Leon Johnson, who lived at 263 Little River Road in Natchitoches, La., with her parents—Dennis, a farmer, and Etta—and siblings: Alwish, Dennis Jr., Hoover, Luther Lee, Le Roy, Jake and J.W. Johnson. Once you have found each of your parents in the 1940 census, you will want to search earlier census records to try to trace the family backward. Pay attention to age, place of birth and the names of family members to better narrow down your search results when you search the 1930 U.S. census and others. If you perform a general search across record types with the information on both your parents and grandparents, you will have a better chance of catching records that might otherwise slip through the cracks. For example, when we performed a focused search for Lewis W. Bass on Ancestry.com, not specifying record type, we accessed an actual copy of his death record through the database Virginia, Death Records, 1912-2014. He died March 9, 1960, in Crewe, Nottoway, Va., of acute myocardial infarction and coronary thrombosis—or a heart attack initiated by a clot—at age 67. Records such as these are invaluable for identifying the previous generation. In this example, you learn that Lewis W. Bass’ parents were Jefferson Bass and Francis Braxton. Original copies of death records also often record where the deceased was buried—in this case, Salem Church Cemetery in King George County, Va. If you look further into this cemetery, you discover that there was a Salem Baptist Church in Jersey, King George, Va., that might have been significant in the history of your family. Someone at the church might point you in the direction of old records if you wanted to pursue its connection to your family. Don’t discount searching the records that have been collected by the Church of Jesus Christ of Latter-day Saints, to which Mormons belong. It is true that prior to 1978 the church denied priesthood status to black men. 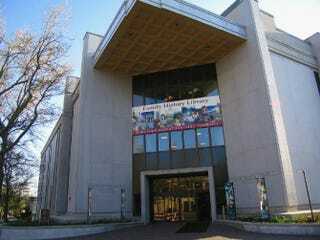 However, Professor Gates has visited the Family History Library, operated by FamilySearch, the genealogical branch of the LDS Church, many times since 1992 to pursue genealogical research. He has been warmly greeted and aided generously by the staff there, most of whom, presumably, are practitioners of the Mormon faith. We encourage anyone seeking to find his or her roots to visit the Family History Library in Salt Lake City and see these marvelous records for him- or herself. The church casts a wide net for record collecting, and there is plenty of information on African Americans, such as U.S. census records and vital records from a number of states. The library also has large collections of land and probate records for some states, such as New York, that are unsearchable but available to browse. All of these records can be accessed for free through the website FamilySearch, but you have to create a free account to view some document images. Two collections in particular that are relevant for your search are United States World War I Draft Registration Cards, 1917-1918 and United States World War II Draft Registration Cards, 1942. The draft cards can provide you with information about the birth, family, career and physical appearance of your male ancestors. From Lewis William Bass’ World War I card, you learn that he was born Nov. 29, 1892, in Gera, Va., and that he was employed as a cook at the Conally Brothers company in Warranton, Va. He had a wife and two children and was claiming exemption on account of his family. You can also see from the notes on the card that he was tall and slender, with dark-brown eyes and black hair. Note as well the clipped lower-left corner of the draft card, which was meant to designate the draftee as African American and which harkens to the U.S. military’s history of racial segregation (ground that we covered in a column last month). Lewis registered again for the draft in World War II when he was living in Farmville and listed his place of birth as Fredericksburg, Va. The 49-year-old was employed as a pastor at First Baptist Church in Nottoway, Va. He was 6 feet 2 inches tall and weighed 240 pounds, with brown eyes, black hair and a light-brown complexion. You can also use these free databases to search for your likely maternal grandfather, Dennis Johnson, although the name is relatively common and you might need to view a number of different documents before making an educated guess about the most likely match. Discovering a new document, like the draft cards, might help open up pathways for additional information. For example, we know from the 1940 census that all of Lewis and Vivian Bass’ children were 10 years old or younger; thus, the two children mentioned above in the World War I draft card from 1917 could have been the result of a previous marriage. There are two matches in the database Virginia, Divorce Records, 1918-2014 ascribed to Lewis W. Bass, and we believe that both of them concern your ancestor. He divorced his first wife, Pauline F. Bass, on May 7, 1928, in King George County, Va. Lewis, age 37, was employed as a teacher, and his wife, Pauline, a native of Camden, N.J., performed housework. They had been married in Front Royal, Va., on Dec. 23, 1913, and had two children during their marriage. It appears that Lewis Bass filed the petition on account of Pauline’s desertion. Knowing that Lewis William Bass was previously married will help you find him in earlier census records. He divorced his second wife, Vivian Brown Bass, who was found with him in the 1940 U.S. census, on Feb. 25, 1946. The petition was filed by Vivian, an electric-plant worker, who claimed desertion by Lewis, a minister and teacher. They had been married June 6, 1928, and had four children during their marriage. Good luck as you continue your research into your roots! This answer was provided in consultation with Anna L. Todd, a researcher from the New England Historic Genealogical Society. Founded in 1845, NEHGS is the country’s leading nonprofit resource for family history research. Its website, AmericanAncestors.org, contains more than 300 million searchable records for research in New England, New York and beyond. With the leading experts in the field, NEHGS staff can provide assistance and guidance for questions in most research areas. They can also be hired to conduct research on your family. Learn more today about researching African-American roots.